Paper in Rock, Paper, Scissors game. 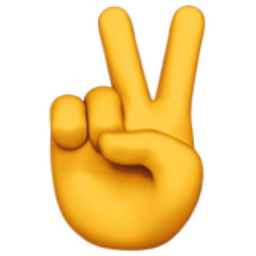 Commonly used as "Victory" sign. Raised Fist. Raised Hand.